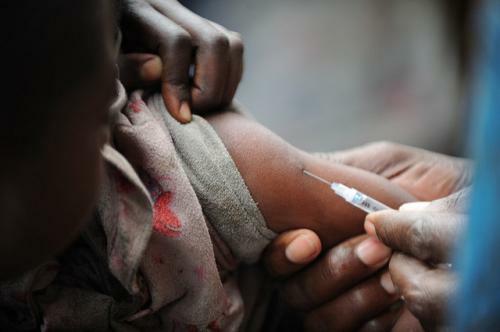 The World Health Organization’s (WHO) Regional Office for Africa has launched a new partnership to help African countries reduce the burden of neglected tropical diseases (NTDs). The Expanded Special Project for Elimination of Neglected Tropical Diseases (ESPEN) will provide national NTD programmes across the continent with technical and fundraising support. It hopes to help them control and eliminate the five NTDs with the greatest burden on the continent, which collectively affect millions of people annually. ESPEN will focus on five diseases: onchocerciasis, lymphatic filariasis, schistosomiasis, soil-transmitted helminths and trachoma. NTDs are a diverse group of communicable diseases that prevail in tropical and subtropical conditions in 149 countries and affect more than one billion people, costing developing economies billions of dollars every year. They mainly affect populations living in poverty, without adequate sanitation and in close contact with infectious vectors and domestic animals and livestock. Forty per cent of the global burden of NTDs is in Africa, stated WHO. The cycles of these diseases destroy lives, prevent children from going to school, and keep communities in cycles of poverty, the health body said in a press note. A study by Erasmus University projects that reaching WHO’s 2020 goals for these diseases would generate an estimated US $565 billion in productivity gains by 2030. Isaac Folorunsho Adewole, federal minister of health, Nigeria, said, “To beat NTDs, we need the right tools and data to help us get treatments to the people who need them. This special project will help governments across Africa provide a healthier future for our people.” The launch of ESPEN took place at an event on the side lines of the 69th Annual World Health Assembly in Geneva.